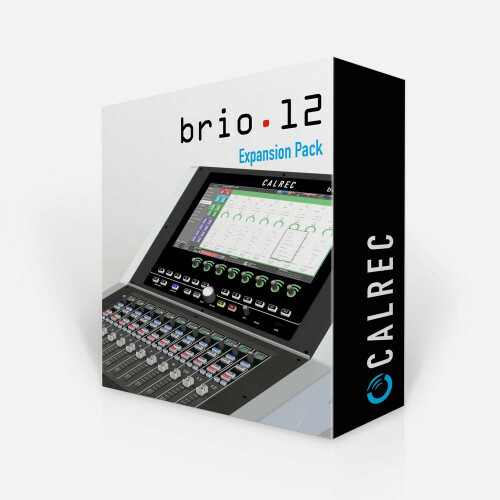 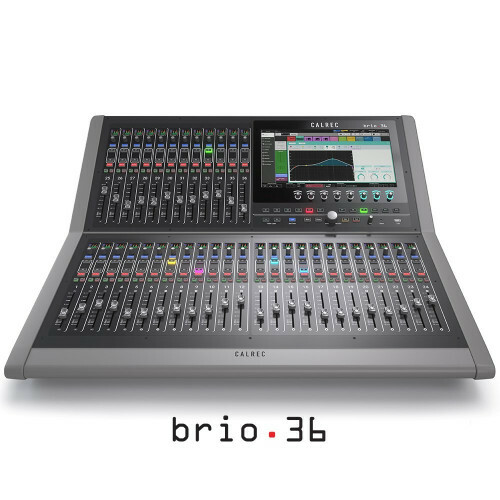 Calrec's Br.IO is an easy and affordable way to expand the I/O of the Calrec Brio36 and Brio12 compact broadcast consoles. 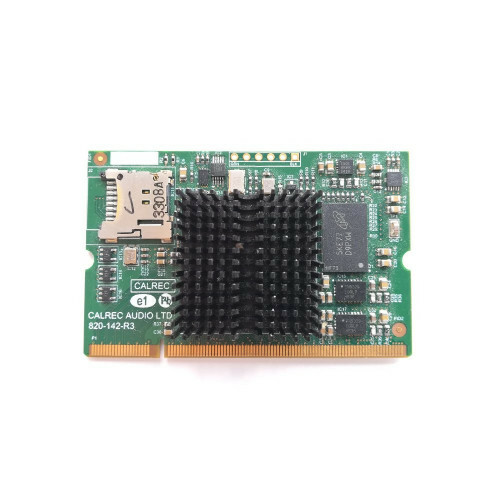 Like all Calrec I/O boxes, the Br.IO offers both primary and secondary connections to provide full redundancy. 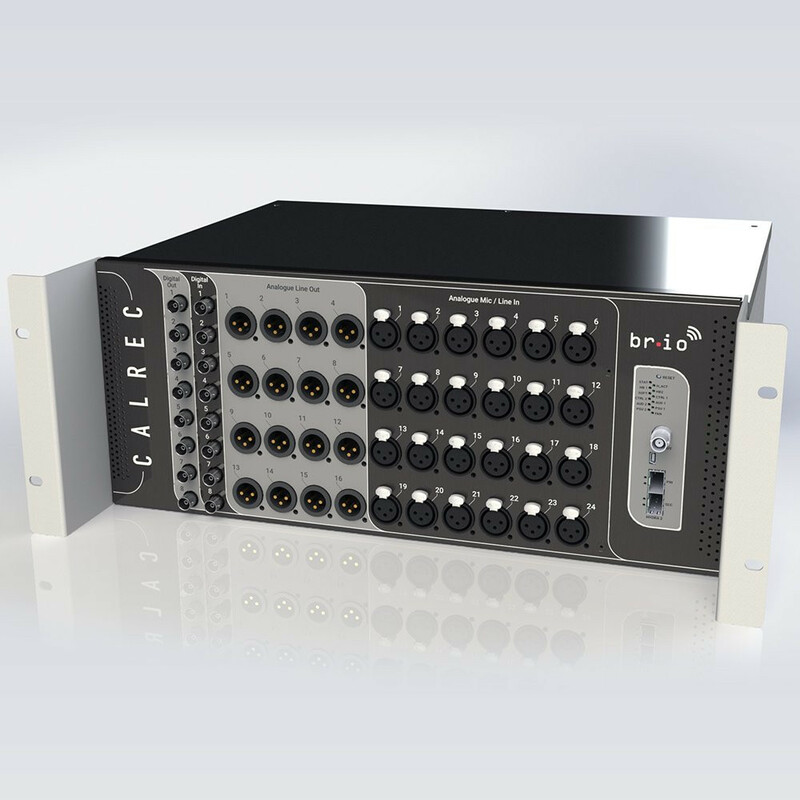 The Br.IO uses copper or fibre to connect directly to the Hydra2 port on the rear of the Brio console via the optional Hydra2 module, and is instantly detected and available to use straight away. 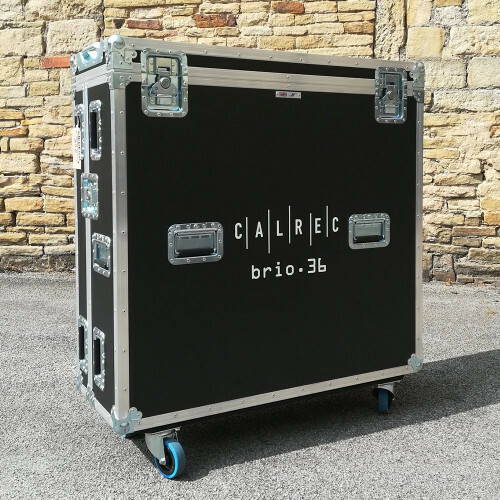 Combined with a Calrec H2Hub, multiple units can be added to deliver flexibility to support a variety of live productions and quickly adapt to changing requirements. 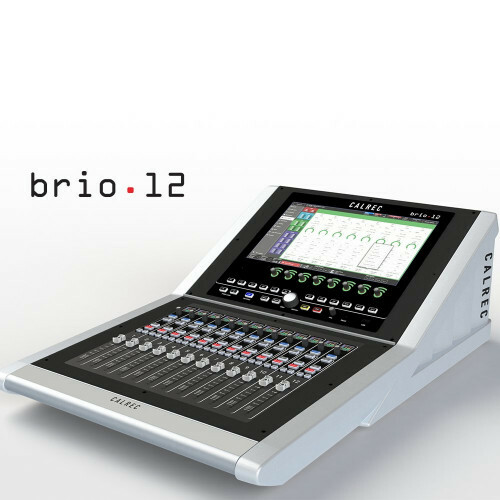 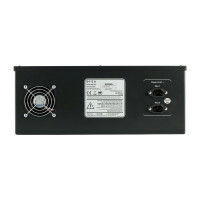 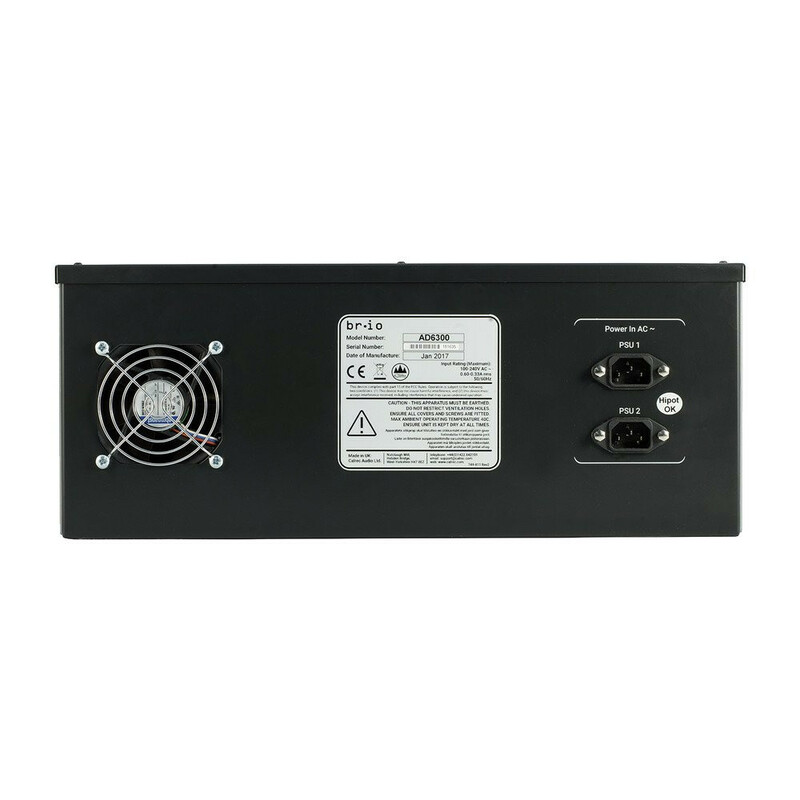 The Br.IO can also be located remotely and connects using 'Hydra2 Light'; an exclusive, high-speed and fully redundant network solution. 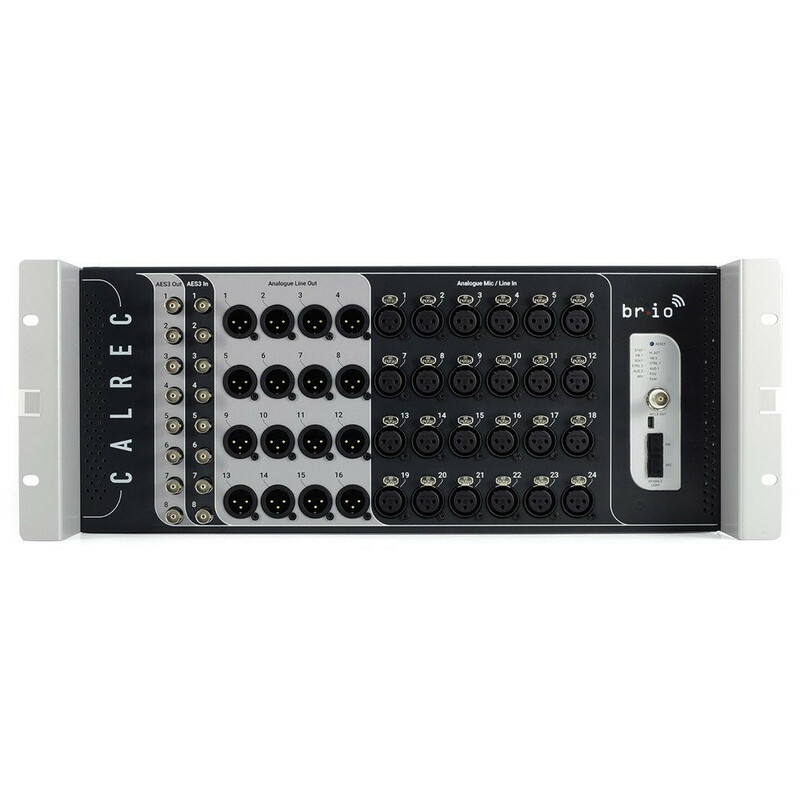 Each Br.IO features 24 x Analogue Mic/Line inputs, 16 x Analogue Line outputs, 8 x Digital AES inputs, with SRC, and 8 x Digital AES outputs. 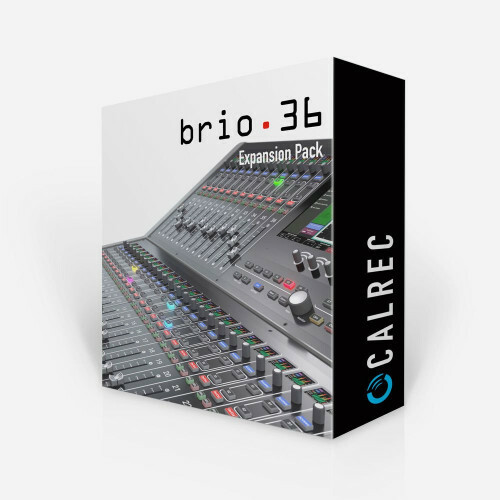 Calrec Br.IO front - Click to enlarge. 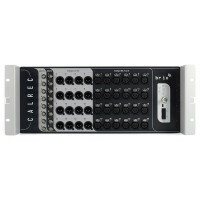 Calrec Br.IO rear - Click to enlarge.